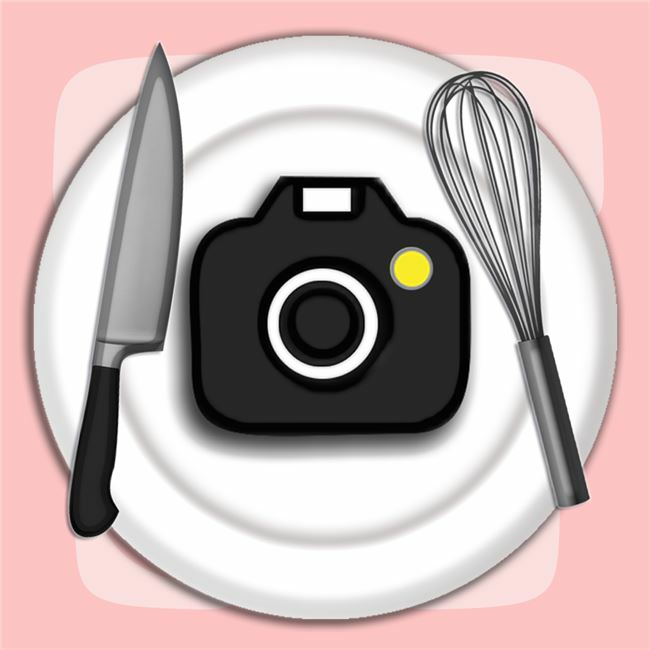 Recipe Selfie helps you store all your wonderful cookbooks in just 1 beautiful app, just snap some pictures and you're done! 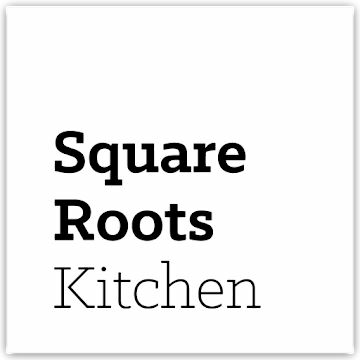 All the money spent in delicious gourmet recipes will be put to great use to pamper your family and friends every day at dinner time. 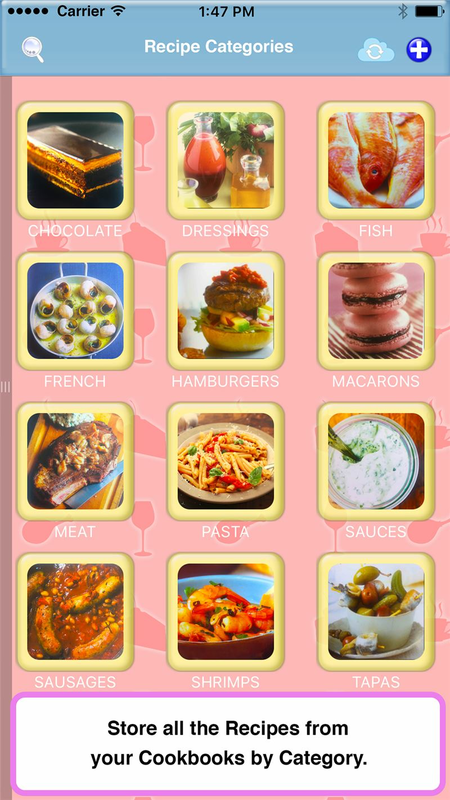 You can categorize all your recipes by ingredient, cuisine, meal of the day, food restriction, or any other creative way you would like. 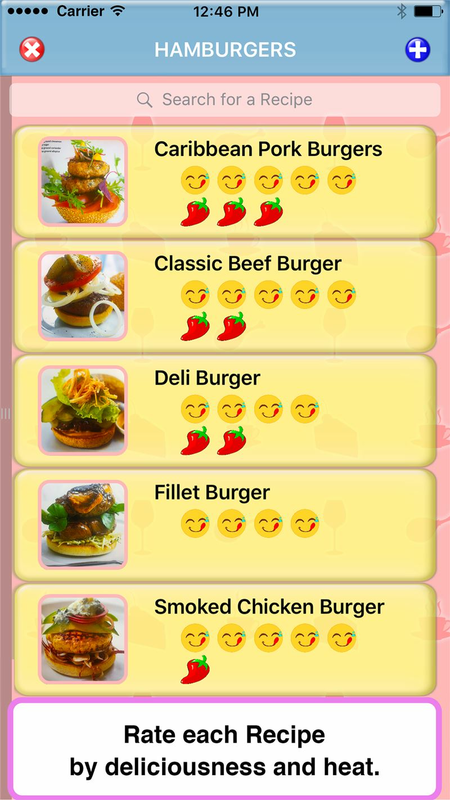 If you feel like eating a juicy piece of chicken for dinner, just tap the Chicken category button and you will find only the recipes related to the category. 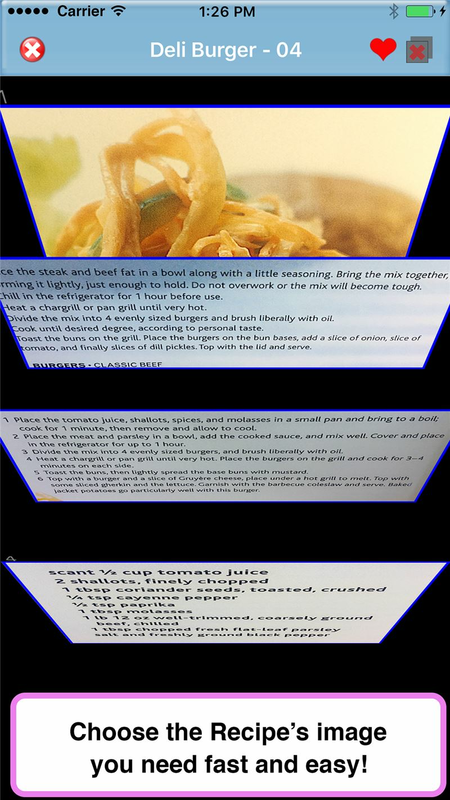 Each Recipe can store up to 5 photos of the recipe's ingredients and cooking instructions plus a mouth-watering thumbnail image. 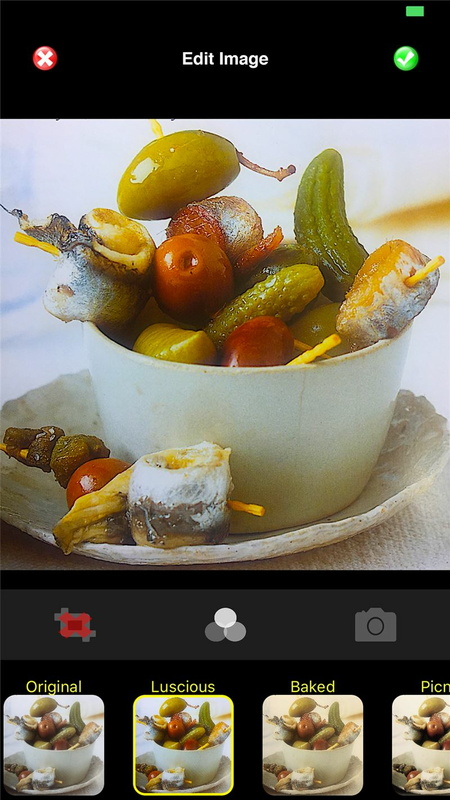 Customize your recipe selfie by cropping unwanted white space and apply color filters to make the food images look even more delicious and the text images sharper and easier to read. 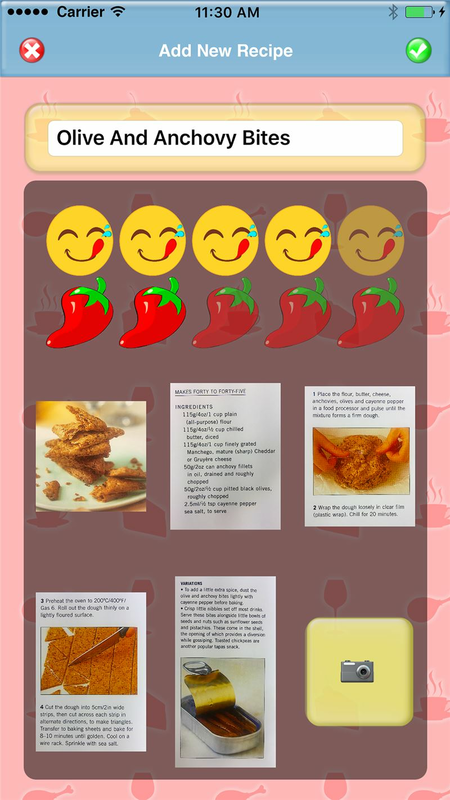 You may also rate your recipe based of how delicious or spicy it is. Mix and match your recipes to create Dining Menus for special occasions and for tonight's dinner. Recipe Selfie was designed to work off-line so you can get cooking without needing an internet connection. Use your iCloud account to sync your recipes and share them across all your Apple mobile devices.  The app is currently available in English, Spanish, Dutch and German.